With Back to school time on the horizon I wanted to share of my favorite back to school must haves that make life easier for everyone! 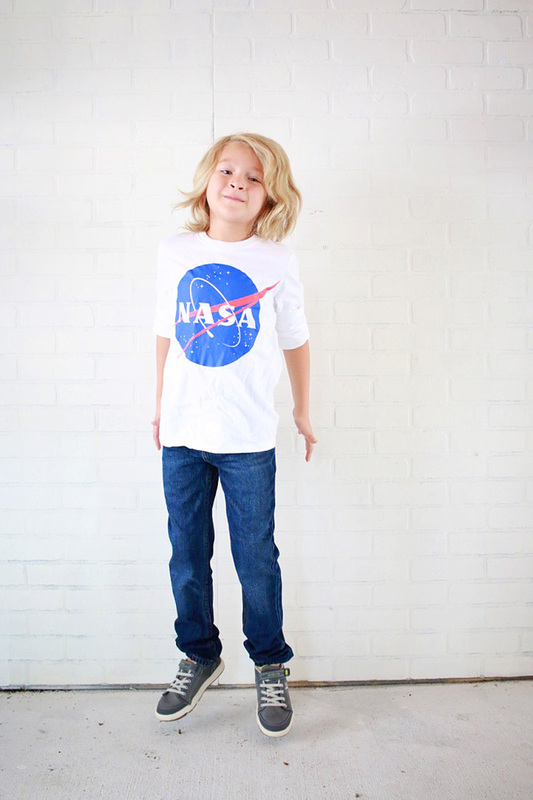 Iron Knee Jeans & Chinos – For some reason kid’s jeans get an absurd amount of abuse, so these jeans/chinos are the perfect way to keep your kids nice jeans free of ripped knees. I learned this lesson after a school year of ripped jeans & ending up with no “nice” jeans to wear when appropriate. Micah is wearing the Iron Knee Slim Fit jeans in Dark Denim. Land’s End Backpack & Lunch box – Land’s End is KNOWN for the amazing quality of their backpacks, in fact they have a unlimited guarantee where you can return or exchange it ANY time if you aren’t for some reason happy. 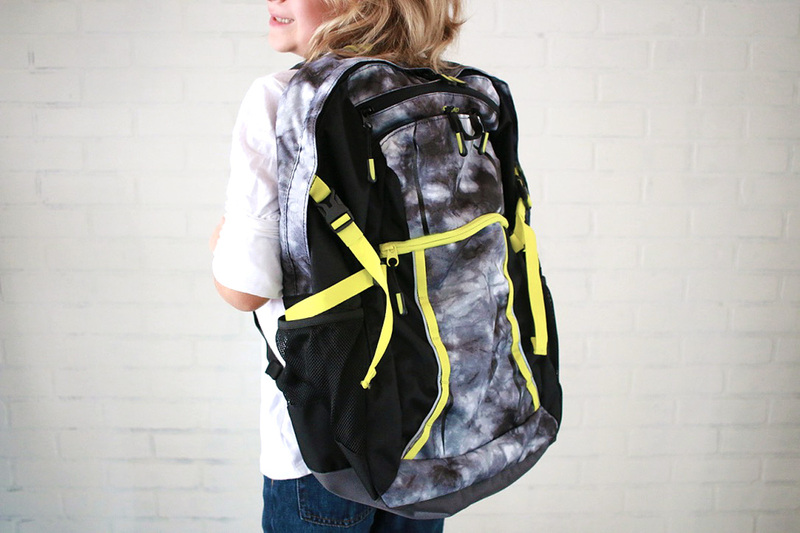 I don’t know about you, but having to buy a backpack once & that’s it sounds pretty amazing. 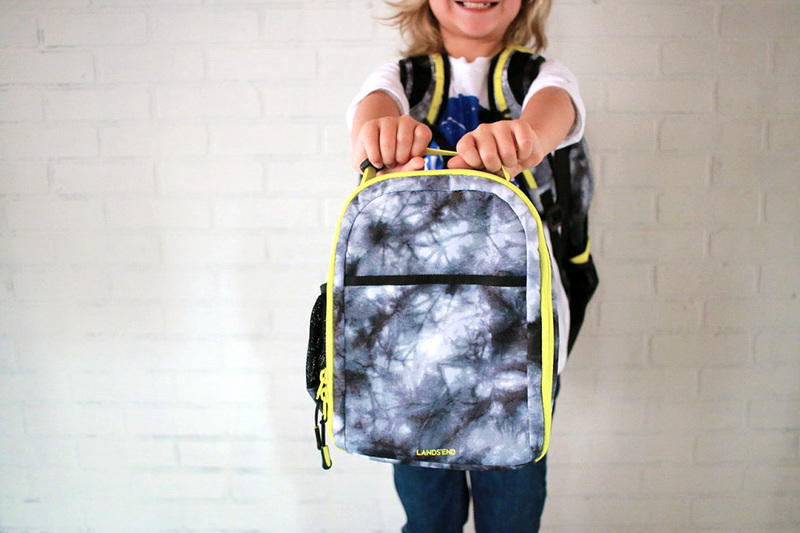 Imagine how much waste you are keeping out of landfills over the course of your child’s schooling if you grab a neutral backpack now and stick with it until they don’t need it anymore. And don’t forget the lunchbox to match! Here is the link to our back pack & lunch box. 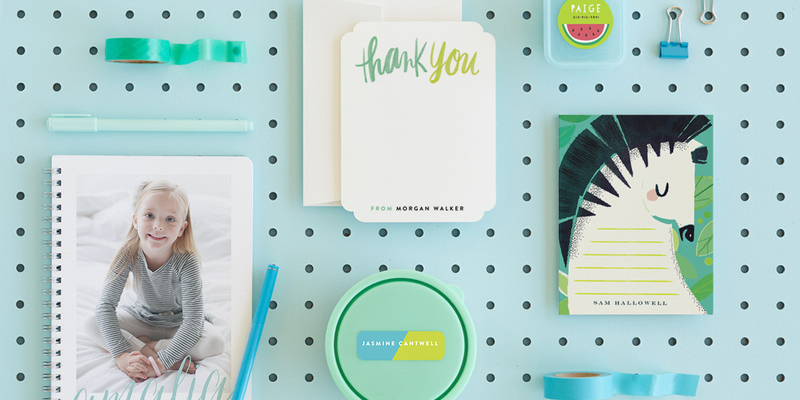 Name Labels – These labels from Minted are a MUST HAVE for any parent, even from birth they are a must have. I didn’t know how often I’d need/use them but they are always coming in handy. I’ve used them to label back packs, lunch boxes, water bottles, sweaters/jackets, towels, baby bottles, every single thing for camp & pretty much anything I don’t want lost forever. I get these in both kid’s names along with tags with just our last name & phone number for things that might be used by several family members (flash lights, water bottles, camping/hiking gear). They have made it through the dishwasher & through the wash more times than I can count. Here’s the Name/Clothing Labels from Minted I’m ordering.